Today nearly 1 in 4 divorcees are baby boomers. A study from Bowling Green State University in Ohio revealed that adults over the age of 50 are twice as likely to divorce as they were less than twenty years ago. What is Behind the Rising Number of Gray Divorces? Longer life expectancy. Boomers are living longer lives. Because they are healthier and more active than past generations of retirees, they have different expectations for married life in older age. They are more willing to divorce and remarry in an effort to find greater happiness in later years. Financial independence for women. Because many female baby boomers worked outside the home, they feel a greater sense of financial independence. This makes them less likely to stay in an unhappy marriage for financial reasons. Couples grow apart. Research also shows that many couples who go through a late-life divorce do so simply because they have grown apart and wish to go their separate ways. Which Seniors are at Higher Risk for a Divorce ? Length of marriage. More than half of the late life divorces occur in couples who are in their first marriage and that marriage has lasted more than 20 years. Women initiate more divorces. In 66% of cases, older women were the ones to initiate a divorce. Education level. Seniors who are college educated have the lowest chance of getting divorced. Researchers believe this is because education tends to increase earnings and relieve financial strain. Money disputes are a leading cause of divorce for people of all ages. Race plays a role. Another curious trend researchers found was that African American and Hispanic couples are more likely to divorce in retirement than Caucasian couples. Finally, there is the economic effect a senior divorce creates. Researchers warn that a late life divorce can have a devastating impact on a couple’s financial situation. Couples typically have to divide pensions, split up 401k plans, and liquidate other investments and assets. A grey divorce often means selling the family home, as well. It all comes at a time when most adults have retired or cut back on the hours they work. This makes it difficult to recover their financial position. 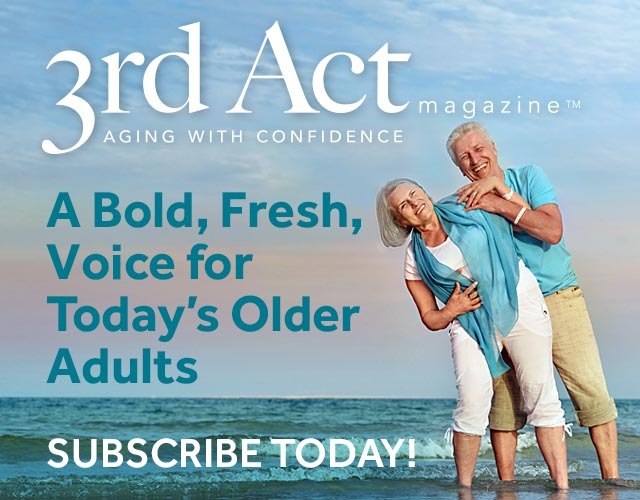 3rd Act Magazine is redefining retirement years. If you’d like to have a free introductory year of our magazine delivered right to your home, please complete our online Subscription Form. You’ll receive a new issue once every quarter!